Styled with arsha dress . 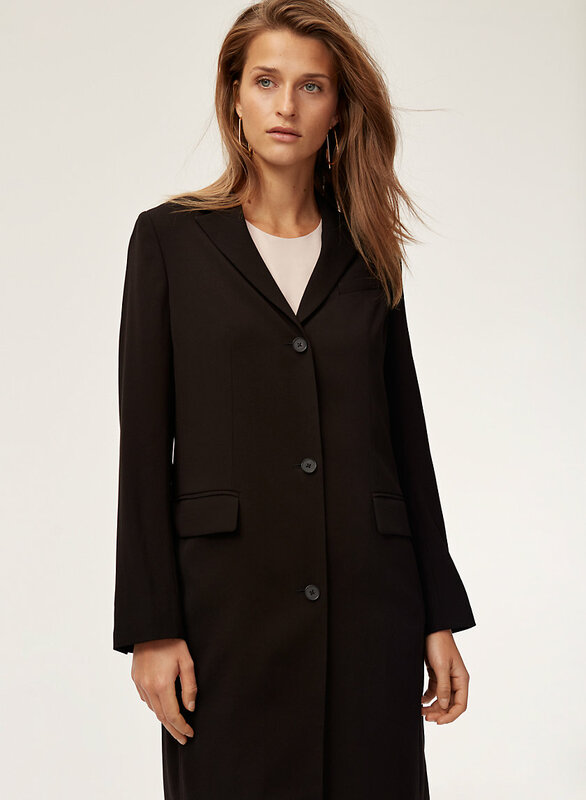 An elongated blazer in stretch wool, the Trent has a flattering drape, while light shoulder padding and a short lapel adds soft structure. 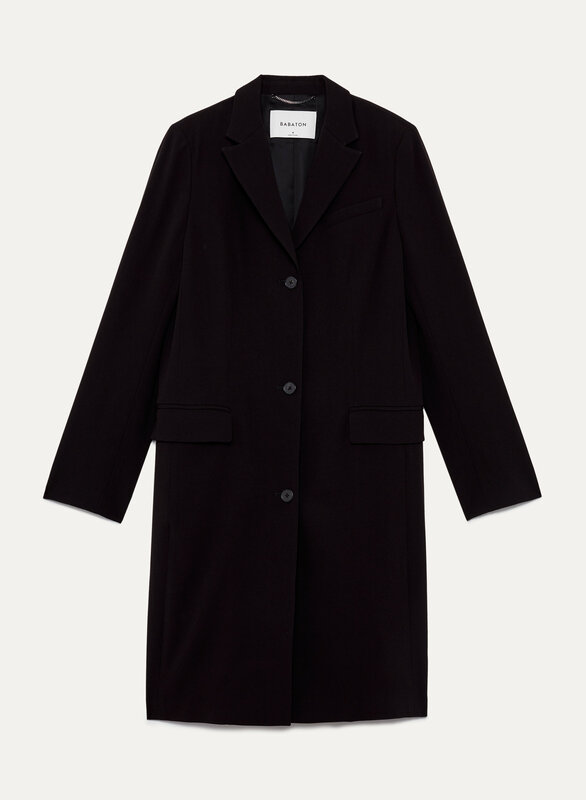 Leave the three-button closure undone for a more relaxed fit.